Two boys, trapped in a snow pile for about seven hours after a plow buried them, could hear their worried family's cries. But they couldn't respond loudly enough to be heard. Police credited an air pocket with saving their lives. 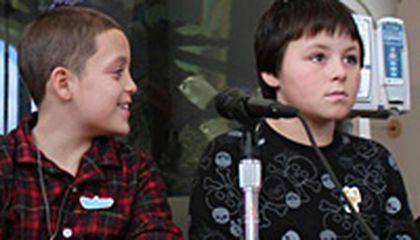 The two cousins are 11-year-old Elijah Martinez and 9-year-old Jason Rivera. They were building a snow fort. 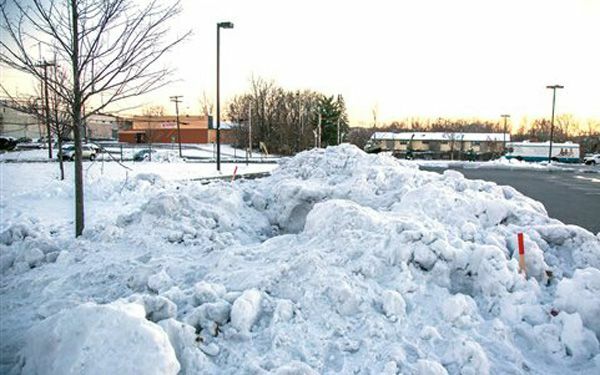 It was across the street from Elijah's apartment in Newburgh, N.Y. That's when a plow operator who was clearing a parking lot unknowingly pushed snow over them. Buried in about 5 feet of snow, they could barely move and couldn't breathe very well. Jason lost his gloves. His hat flew off. They relied on each other to stay alive, they said. They shared Elijah's face mask to try and keep their hands warm. They talked to each other so they wouldn't fall asleep. "I felt so tired. It didn't feel real that they were coming to get us," Elijah said at a news conference at the hospital where the boys were recovering. Meanwhile, their parents were growing more frantic. They called police and searched through the snowy streets for the children who were mere feet from the apartment. "I just kept telling myself: 'This is not true. This is not real,'" said Jason's mom, Aulix Martinez. "It was just scary, and as time went on, it got scarier. I was begging the police to please find them." Neighbor Takiaya Stevens told The Associated Press that police rallied help for the search. "The cops were coming to all the neighbors' houses. They were knocking on doors. They were ringing bells asking for shovels, asking for help," she said. "The neighbors came out. Everyone tried to join in the search for the little boys." Officer Brandon Rola spotted footprints that were disappearing as more snow fell. Then he saw a shovel. "I felt led to dig," he said. Rescuers, seeing the sole of a child's boot, dug faster as residents joined in the rescue. Some dug with their bare hands. "When I first hit the boot, you just try and stay positive and hopeful," Rola said. "You get that ray of hope and everybody just started working together trying to get these kids out. And as the snow kept coming come off, you started to see more and more movement and then you started to hear the voices and it was a very great feeling." The boys were conscious but suffering from exposure. "I felt so happy," Elijah said. "Everything we went through just fell right off my back." "I'm just glad they got that big block off my chest, that was heavy," Jason said. My dad told me this story. I thought it was crazy. I also couldn't believe what I was hearing. And then, I read this. It doesn't sound so crazy hearing it for a second time. I'm so glad that the to boys are OK. You guys where under 5 feet of snow and the fact you to where under there for about seven hours. That is impassive.Plus Elijah shared your mask with your co sin to keep warm. The best part is that you both are safe. It sounds so scary I am getting nervous! It touches my heart that they were trying to keep each other calm and warm. that is incredible. how can you go that long without eating and drinking.incredible gesture.that is amazing.why would the snow plow guy not notice the children. that really touched my heart i loved it!! it was such a happy ending!!!!! Where was the parents. How long were they miss and how long was the search. how many people was helping on the search. Wow, that must have been scary know I know not to build a snow fort so close to the driveway or the street!